Emily Jaworski sings opera, art songs, musical theatre and more throughout New England. She is currently pursuing her doctorate in vocal performance at Boston University in the studio of Dr. Lynn Eustis. She is on the voice faculty at Plymouth State University where she teaches voice lessons, diction, and pedagogy, in addition to serving as music director and/or conductor for recent productions Les Miserables, Avenue Q, A Funny Thing Happened on the Way to the Forum, The Wedding Singer and this fall’s Carrie. This fall, she will begin teaching music to incarcerated youth at the Judge Connelly Youth Center in Roslindale, MA. 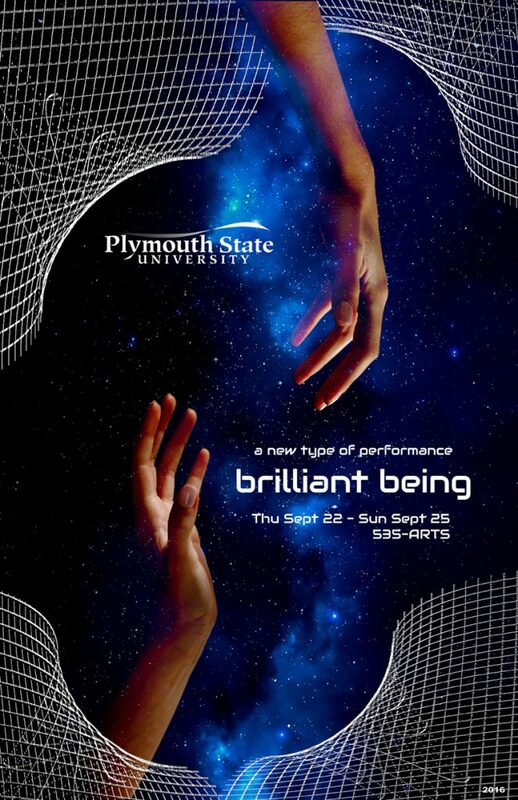 Matt Kizer is the resident scenic and lighting designer for Plymouth State University, where he has been the head of the Design and Technology program since 1996. He has presented workshops on projections for the National Opera Association and for the Cyprus Theatre Organization. He serves as webmaster and contributor for BroadwayScene.com,AllTicketsInc.com,  BroadwayIQ.com, and BroadwayEducators.com. He served as faculty lighting designer for Operafestival Di Roma in Italy, where he designed lighting for the Orchestra Sinfonica dell’ International Chamber Ensemble. He has also designed for dance and movement in Potsdam, Germany in Schiffbauergasse with A-Fortiorni. Paul Mroczka recently directed Sylvia, and Steel Magnolias at The Barnstormers; Leading Ladies for Jean’s Playhouse; and Rumors, Orpheus in the Underworld, and The Glass Menagerie at Plymouth State University. Paul has also created numerous written works, including The Watercress, Smart Money, and Umbra. Paul’s awards include a National Endowment for the Arts Playwriting Fellowship, a Shubert Fellowship, and the Jason Miller Award for Playwriting. He holds a M.F.A. in Dramatic Writing from Brandeis and a Ph.D. in Theatre History, Theory, Literature, and Criticism from Tufts. At PSU, he serves as Chair of Music, Theatre, and Dance and as Director of Theatre. Jonathan Santore is Composer in Residence with the New Hampshire Master Chorale, and a Professor at Plymouth State University. His work has earned many awards including The American Prize in Composition, an Individual Artist Fellowship from the New Hampshire State Council on the Arts, and the American Composers Forum Welcome Christmas! Carol Contest. His compositions have been performed by ensembles throughout the United States and Europe. He holds academic degrees from Duke University, The University of Texas at Austin, and UCLA. His latest project is a CD of works written for the New Hampshire Master Chorale, conducted by Dan Perkins. Charmian Wells is a co-founder of Refractions Dance Collective and a principal dancer with Forces of Nature Dance Theater. She is currently a doctoral candidate and Presidential Fellow at Temple University in Dance Studies. She teaches at Lehman College and has served as an editorial assistant for Dance Research Journal and the Collegium for African Diaspora Dance. Amanda Whitworth has performed for companies and choreographers in and around New York City, including Ann Reinking, Chaos Theory Dance, and Lorraine Chapman: The Company. She is the recipient of the Friends of Dance Award from Goucher College, the Monticello Award for Choreography from Regional Dance America, and the J.S. Seidman Award from NYU’s Tisch School of the Arts. Mrs. Whitworth has collaborated with Theater Integrating Guidance, Education and Responsibility (TIGER), the Educational Theater Collaborative, and Ninth State Movement. Currently, Mrs. Whitworth serves as Director of Dance at Plymouth State University and Artistic Director of Tributary Dance. her conservative mother, and the bullies at her school. When two actors with a history are thrown together as romantic leads, they quickly lose touch with reality as the story onstage follows them offstage.